A time when we could surf the World Wide Net without any risk is long gone. Today we witness how social networks track our location and data. Our sensitive information will continue to be stolen and shared with third parties even without our knowledge. In spite of this fact, people can’t refuse from digital devices. We use them almost in all areas of our lives. You can’t but agree that we have become dependent on our smartphones, laptops or other gadgets. The only way out is to make our online activity secure and safe. VPN technology has become extremely popular today, especially among residents from poor countries or where there is an advanced censorship system. However, if you live in a free country without any restrictions, you should think about your security on the Internet as well. Today we have a very little control over our personal data, and our task is to protect it against snooping eyes. 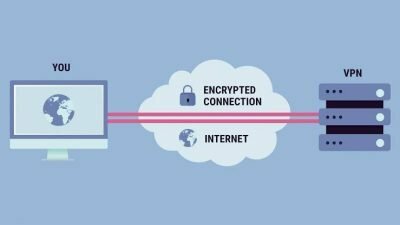 In a nutshell, a VPN is a “secret tunnel” between your computer and the server you want to connect. All your data passing through this tunnel is encrypted, and your real IP is hidden. It makes you unseen on the Internet, nor your ISP or the government can trace you. The market today can boast of a wide range of VPN providers. There is also free VPN software that is also popular among netizens, which you can check out on bestvpnrating.com. 1] Hide your information and your IP from third-parties. Freedom of speech is a current issue today. People from certain Asian countries haven’t got freedom of expression at all. They are sentenced to prison for a careless word or a benign comment. The issue has become urgent for American or European residents as well. Before going on business abroad, make sure you have a secure VPN provider. In some countries like Oman, China or Saudi Arabia social networks and VOIP messengers are blocked. You will have to install VPN software on your laptop to communicate with your family and friends and get access to certain websites which you may need for your work. 3] Access to streaming services. It is an open secret that cable TV is dying the death. People prefer free or paid streaming services now. American Netflix is one of the most popular libraries today. However, people from other countries do not have access to the whole content. Luckily, it is a cakewalk to unblock all TV shows with a VPN. You just have to choose a provider which can offer a server in the USA. 4] Torrent trackers are popular today along with online streaming services. Pirating is punishable in certain countries. So, to avoid any problems, let’s take care of safety first. If you are into internet shopping, you may know that some online shops raise prices every time you visit a page but don’t buy a thing. With a VPN, you can change your IP every time you visit a page. The website will “think” that you’re a new customer and the price won’t go up. Moreover, you can buy the cheapest plane ticket with a VPN. Change your IP, and you’ll see how prices for tickets vary from country to country. To my mind, using a VPN is highly useful nowadays. Even if you’re going to have it on your home PC, you’ll get a lot of benefits. Moreover, almost all VPN software is user-friendly. The installation is simple even for not advanced users. Stay safe on the Internet and good luck!